Bed bugs are easily one of the worst pests that you can find in your home. Not only are they incredibly difficult to get rid of, but they can quickly spread and leave you incredibly uncomfortable for some time. While there isn’t much that you can do to get rid of them once you have them, there are a few things that you can do to minimize the chances of them showing up in your home. Here are a couple of tips to help you reduce the chances. Just as with most pests that make a home in your home, bed bugs find comfort in areas that are warm. That’s one of the main reasons that they make a home in beds. The materials that mattresses are made of are all pretty warm materials, but when the human body lies in it at night the warmth is even stronger. If there’s more than one person sleeping in the bed, then you’ll often see larger infestations because they’re able to thrive off of the amount of heat that there is. One of the main things that bed bugs are attracted to is humans. For that reason, carbon monoxide is something that they crave and do their best to seek out. Since this is what we breathe out, bed bugs are able to get their fix from our slow and steady breaths while we sleep. Given that most people are idle when they sleep, or at least in one space for a matter of hours, this is the perfect area for bed bugs to hangout. Both of these are things that bed bugs feed off of, which is why you may notice little spots on your bed when looking for an infestation. These little spots are not actually crushed bugs, but they’re little drops of blood. For that reason, cleaning your bed once every 2 to 3 weeks can help you keep an eye out for these signs so that you can manage them long before a real infestation spreads. While it isn’t something that attracts them to your home, it’s one of the easiest ways for an infestation to walk through your front door: lack of detail. It’s not uncommon for people to purchase used items. From furniture to clothing, purchasing used items is a great way to enjoy quality without having to pay the full price. However, if you are not paying attention to the piece that you’re buying, you could wind up taking home more than your furniture. One of the best things that you can do is check any used items that you’re buying. Whether it be at the seams of your clothes or the cracks of furniture, you can minimize the chances of anything coming home with you. 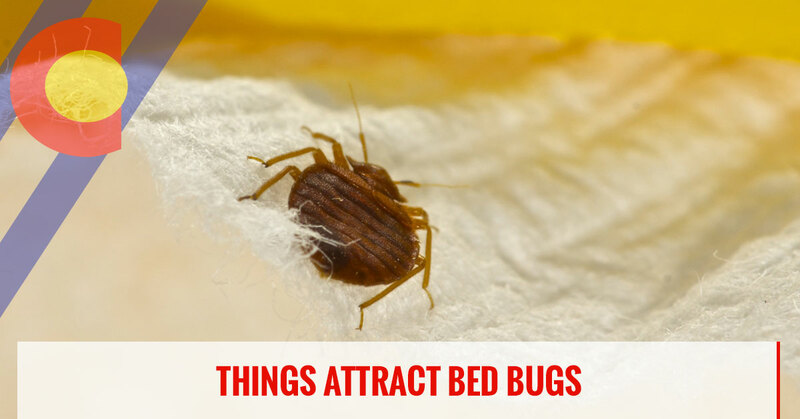 Most importantly, you should remember that what bed bugs are really attracted to and what they crave, are humans. The best way to keep your bed from becoming an area where an infestation can thrive is by washing your sheets every couple of weeks. Not only will this clean any dead cells, but it will also ensure that you’re keeping an eye out for any suspicious signs of an infestation in your home. 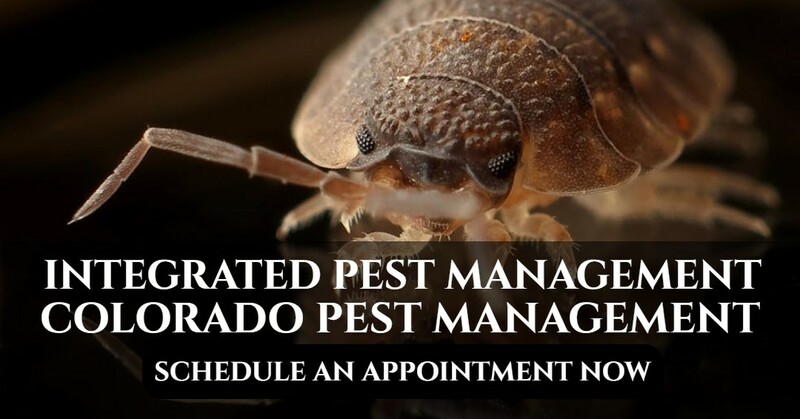 Colorado Pest Management is the company to trust when you find bed bugs in your Englewood home. Call our office today and we’ll go ahead and schedule a time for your services to get completed. Make sure to keep up with our blog so that you’re able to find all sorts of tips and tricks that will help you better manage the pests that you’re coming across!